China’s modernization of the People’s Liberation Army (PLA) over the past two decades has “resulted in a force capable of contesting U.S. operations in the region, presenting challenges to the U.S. military’s longstanding assumption of enjoying ground, air, maritime, and information dominance in a conflict in the post-Cold War era,” according to a congressional commission report made public on Nov. 14. “Today, the United States and its allies and partners are facing a China more capable and increasingly confident in its ability to use the military as a tool to intimidate countries throughout the Indo-Pacific and support the expansion of its global interests,” says the annual report of the U.S.-China Economic and Security Review Commission. 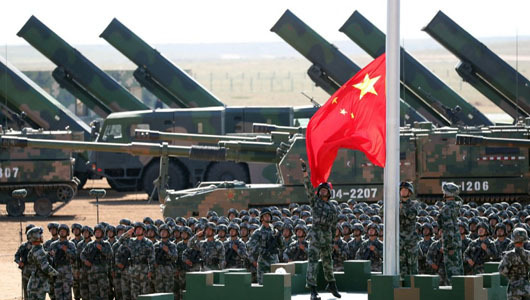 The commission said in the 539-page report that the military buildup is part of China’s effort to take control over Asia, increasing the danger of war. The military buildup includes large-scale cyber theft of American technology, increased arms sales to rogue states like Iran, and bullying of regional countries in Asia, including Taiwan, the report said.